Note: this is the Individual Entry form. For the Family Entry form, please click here. 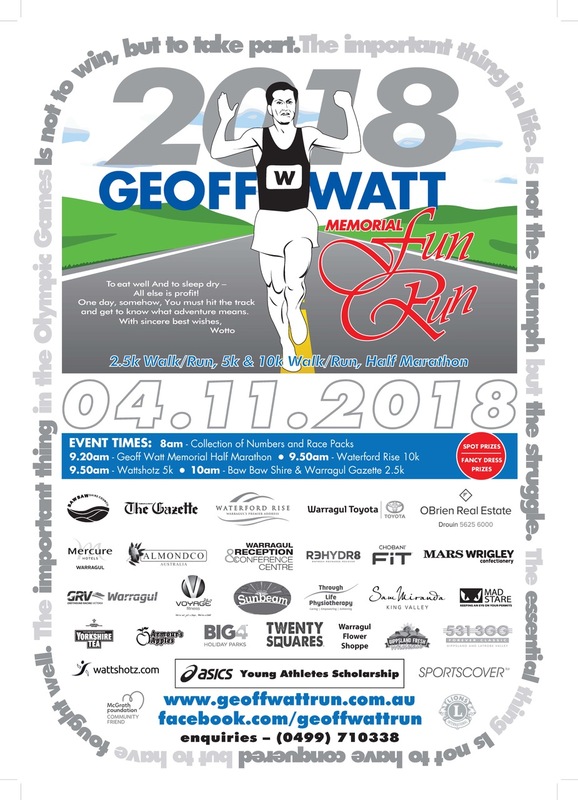 The Geoff Watt Memorial Fun Run is Gippsland's very own running event in memory of my late Father Geoff Watt - who was a marathon/ultra marathon runner. This year's Fun Run has chosen to raise money for the McGrath Foundation, which is a great opportunity to rally your friends and family to show your support. The McGrath Foundation raises money to place specialist McGrath Breast Care Nurses wherever they're needed, who provide invaluabe physical, psychological and emotional support from the time of diagnosis and throughout treatment - for free. Alternatively, you may choose to top-up you entry fee by making a donation directly at Entry time. Please note that entries will close once field limits are reached. Online entries are preferred and are available until 11:59pm on Friday 2nd November, 2018. Get in early to reserve your place. Category, ASICS Young Achievement Awards and lots of fancy dress/ spot prizes for this fun event. All participants get free Gift pack. Standard Entry Pricing applies until 11:59PM 02/11/2018, after which Late entry pricing applies. All fees include cc merchant fees. The McGrath Foundation raises money to place specialist McGrath Breast Care Nurses wherever they're needed, who provide invaluable physical, psychological and emotional support from the time of diagnosis and throughout treatment - for free. 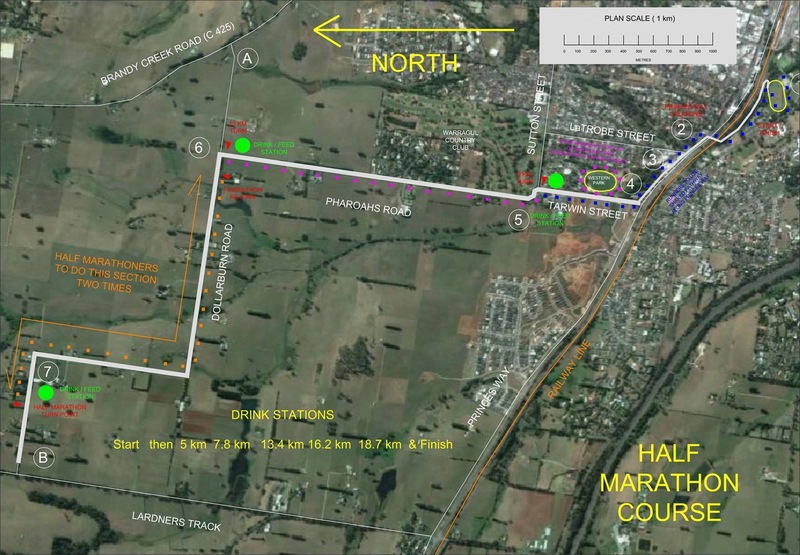 Please consider topping up your entry fee with a donation - 100% of which will go to the McGrath Foundation.